A very tasty aggregate lot from a micro region in Huila called Timana. Although some of our past Huila offerings have most likely contained some Timana beans, this straight chop out of Timana is fantastic. All grown above 1600m (high altitude) and consisting of 2 Arabica strains; Colombia and Cattura. 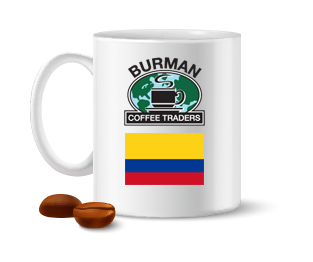 Created by our favorite Kona expert Mr. Stewart (who also has some awesome Colombian buddies), he was also behind our older Colombian Dulima offerings if you liked those. A very nice super clean Huila cup! Buttery textured and complex; strong semi-sweet traditional walnut/chocolate tones balanced with with a little brightness and soft fruit tones. Easy to roast; a nice medium roast is where these beans will shine. Works at light and/or dark roasts but looses a little balance. Light roast will have much more floral and soft fruit balanced with a dry nutty, dark roasts are much thicker and bittersweet, low acidity and nutty/chocolaty/smoky type profile. CHECK OUT OUR FULL COFFEE LIST!